A combination of visual appeal and functionality. 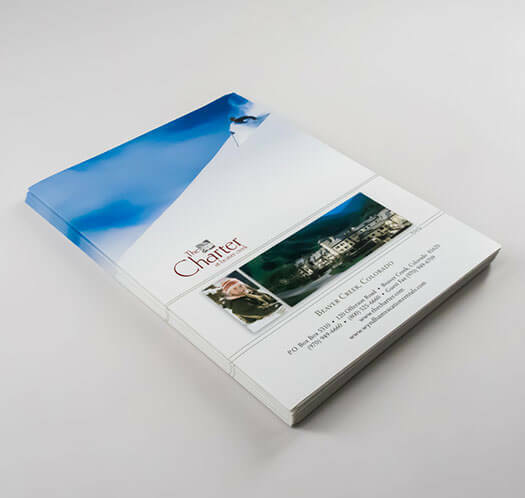 All presentation folder printing is done standard on 16 pt paper, which is heavy and durable enough for holding various materials. 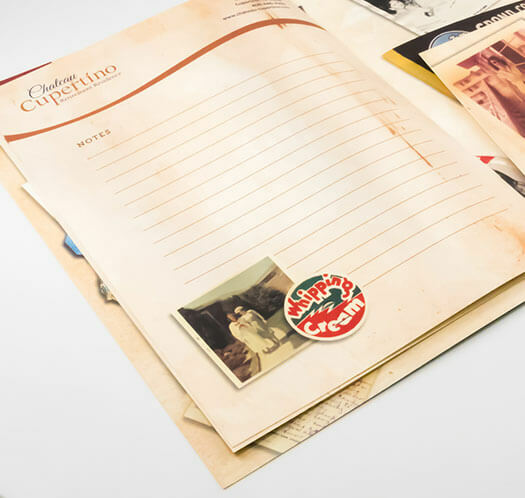 Coat your presentation folder with either Aqueous Matte or Gloss UV. Matte coating creates a dull finish with a smooth feel, while Gloss UV achieves a high shine. 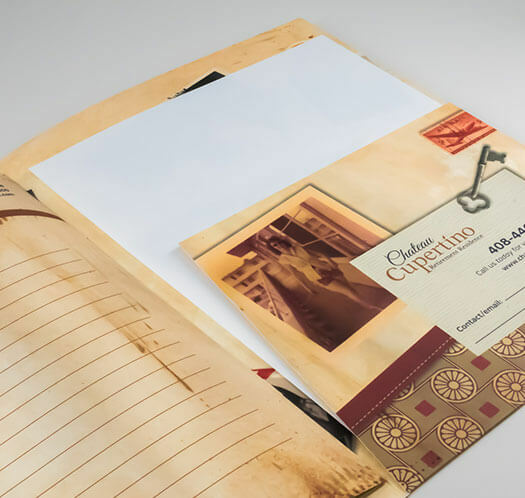 Presentation folders go through die cutting and conversion after printing. 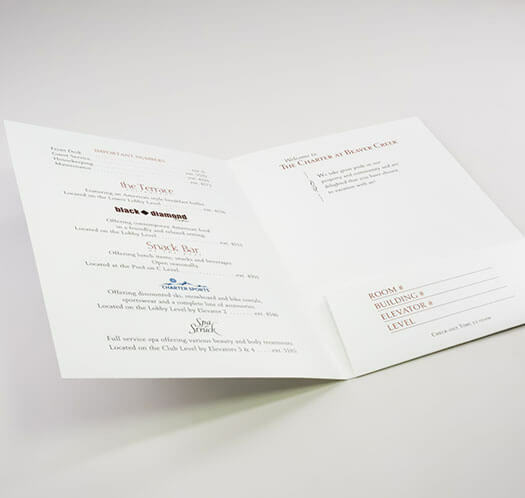 Die cutting is necessary for your choice of pockets and business card slits; our slits are created for standard sized (3.5 x 2) business cards. We typically use our standard folder dies; but we do have the capabilities to provide you with a unique shape or cut. 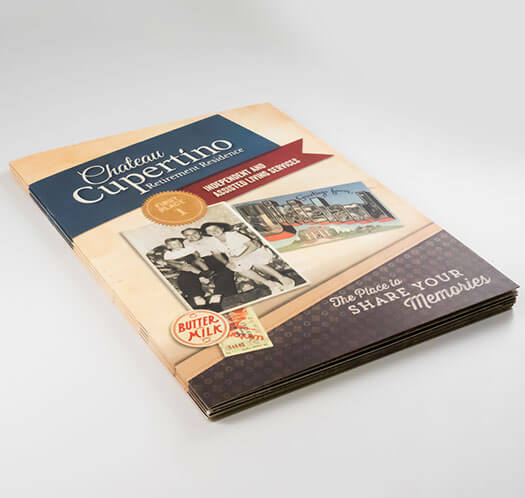 Presentation folders can technically be a part of your corporate package, as it is used to introduce your company and present your materials to clients. Therefore, it should extend your brand image and communicate your brand message through design. The way these folders are used can almost be determined by how they are designed. Adjust its size and spine according to how you want to use it, be it as a media kit, sales kit or a showcase piece. 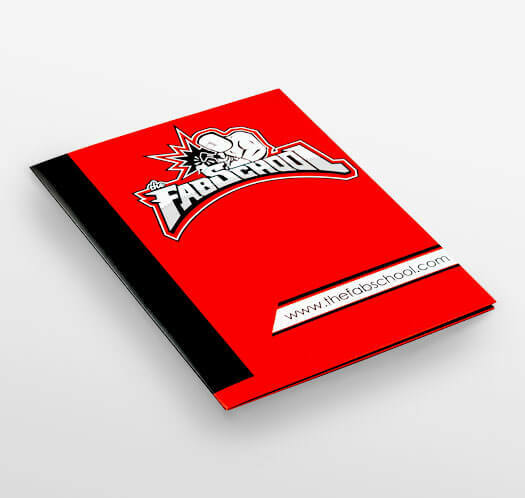 For a one-of-a-kind presentation folder made just for you, contact us and speak with one of our product specialists.